Set aside FIFA Rankings for the moment and look at the big picture. It will be hypocritical to say that there has not been satisfaction to be had from being the top team in Southeast Asia – or, at least, on paper – but the bragging rights apart, there has been for sometime little more to be learned from within the neighbourhood. Winning Peace Cups was useful for match fitness and preserving camaraderie among our current set of internationals; but if the intention always was to fly the coop as is the destiny of all who harbour ambitions, then the only way forward has always been to look beyond the region. So on to the Al Nahyan Stadium in Al Wahda and an arguably long-overdue engagement for the Philippine Azkals with one of the continent’s elites, the United Arab Emirates – former Asian representative to the World Cup and current 7th-ranked team in the continent. The game, as a spectacle, did not disappoint. On display were crisp passing, intelligent movement, neat combinations and, most of all, well-crafted goals. All credit to Michael Weiss for his willingness to bleed the youngsters in as they more than the seasoned internationals stood to benefit the most from the UAE visit. Patrick Reichelt and Jeffrey Christiaens started, but when OJ Porteria and Mark Hartmann were sent in, the team had a really good balance of youth and experience. That these were all coming from the UAE was not even a source of annoyance as, indeed, purists would have quickly appreciated the quality of the football on display from the hosts and just as quickly recognised the dual roles of master and apprentice among the 22 men on the well-manicured pitch. Goals by Salem Saleh, Walid Abbas, Esmail Matar and Ali Mabkhout ensured a comfortable 4-0 light evening workout for the Emirates, who could have probably scored a bagful more were it not for the brilliant form of Eduard Sacapaño in the Philippines goal. Sacapaño was easily the best Filipino on the night, his performance matched only by the thousands of overseas workers in the stands determined to enjoy the match the impending result notwithstanding. The latter turned the occasion into something of an embarrassing away match for the Emirates, loud and enthusiastic as they were. Of course, on the pitch, there was little doubt as to who was in charge; and, indeed, the Azkals had to chase shadows all night long but for brief spurts of possession. Statistics, it is said, do not lie. At the end of 90 minutes, these where overwhelmingly in favour of the Emirates: 29 shots to the Philippines’ 3. 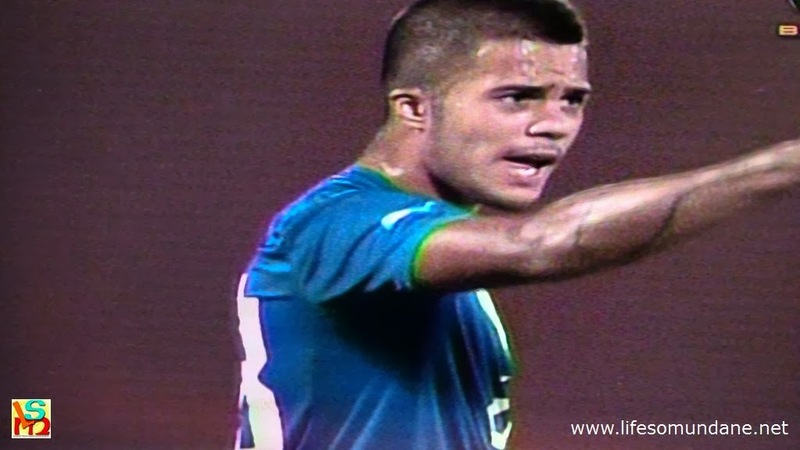 A total of 11 shots for the hosts were on target; none for the Azkals. The goals apart, on two occasions when Sacapaño was beaten, the woodwork came to the rescue to deny the Emirates a more emphatic scoreline. Yes, the Emirates were that dominant. The unflattering statistics against them notwithstanding, this match was not an embarrassment for the Azkals, who chased gamely and challenged bravely. Seen another way, perhaps it can even be said that the Emirates were limited to four goals because of the Azkals’ defiance in the face of such illustrious opposition. But that this was always part of the learning curve was plain for all and sundry to see. The Filipinos could have used a bit more composure on the ball. That said, that sort of composure is only attained by consistently playing opposition of the same calibre as the Emirates. 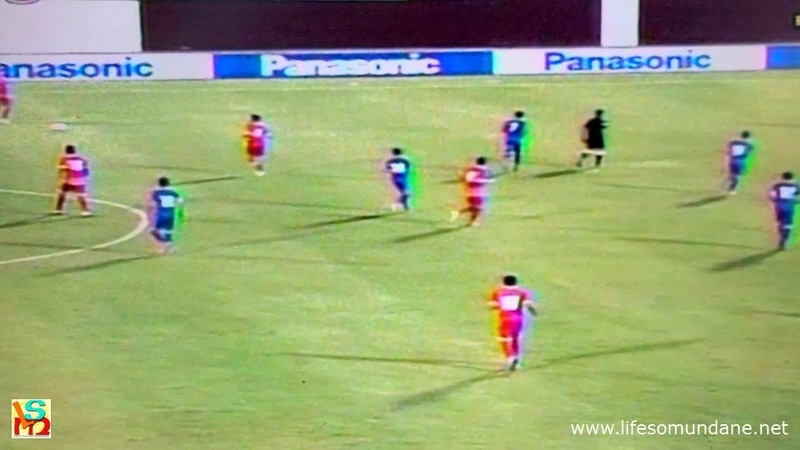 All the early running by the Azkals was somewhat naïve and probably driven by nervous energy. As such, both Emirates goals in the first half were scored as the Philippines lost shape in transition because of the failure of the Azkals’ midfielders to come down quick enough to narrow the passing lanes. 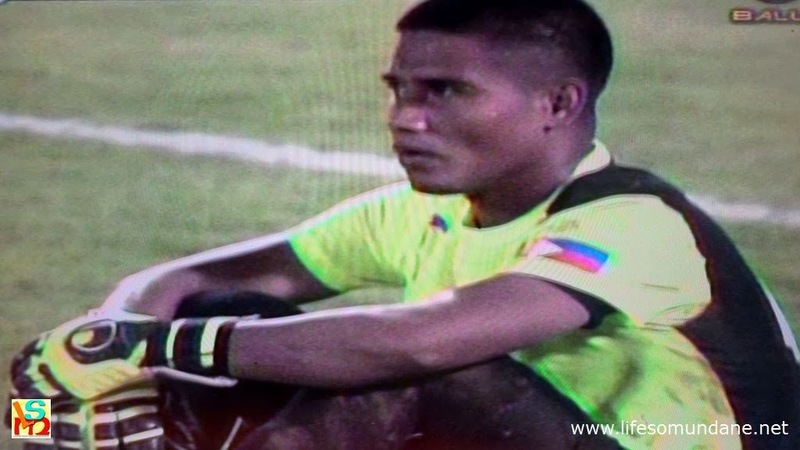 While Sacapaño won plaudits for a brave performance, it is hard to imagine Neil Etheridge meekly accepting the almost abject lack of protection in transition. It was in midfield that the Philippines badly needed organisation; and the ease with which the Emirates threaded passes through sometimes from deep as the centre circle was alarming. Not to say that the backline was not culpable as indeed, all four goals were scored as a consequence of the defence switching off. The second goal, in particular, was symptomatic of this. Sacapaño had done well to block the initial shot; but with the Azkals’ defence flatfooted, Abbas had the easiest task of slotting the ball into a gaping goal. It only takes a second to score a goal, the late British manager Brian Clough loved to say. Sometimes the difference between great and mediocre teams can be down to mere concentration as, indeed, all good defensive work can be undone by mental lapses. This was one lesson learned the hard way by the Azkals at the Al Nahyan. Still, always a fringe benefit of playing against opposition as classy as the UAE is that most everyone else from the circle that the Philippines usually move in suddenly becomes so much easier to play against. If the Filipinos learn from matches such as last Saturday’s, then winning the Challenge Cup will seem so much more achievable. Who knows how high the Philippines can really go unless we keep playing opposition of the calibre of the UAE? Japan? China? Australia? All these continental powers were also once where the Philippines are now. Against these teams, we can afford to lose but still come out the winners. Acknowledgment: Photos captured from Balls Channel's replay of the match.